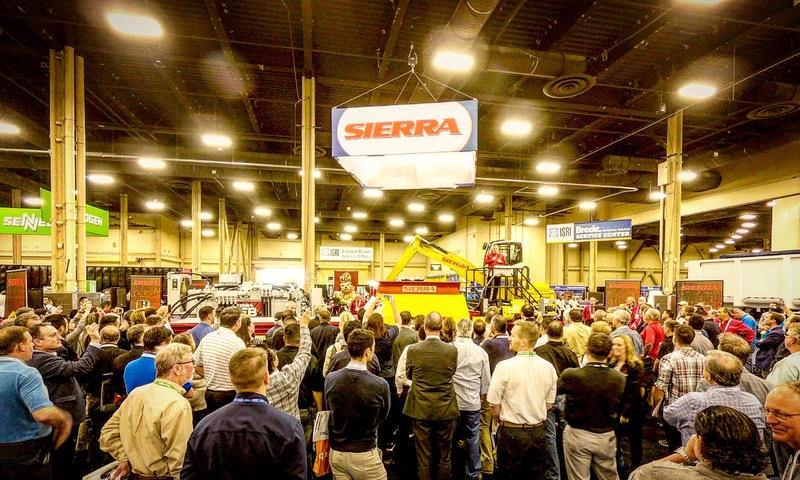 The third day of WasteExpo 2018 in Las Vegas brought a fresh round of news announcements. Day three of WasteExpo 2018 brings more news from Mack Trucks, FleetMind Solutions, Fortistar, Thunder Creek Equipment, Freightliner Trucks, TOMRA, Trelleborg, Sierra International Machinery, Kraus Global, Eriez and Fairbanks Scales. 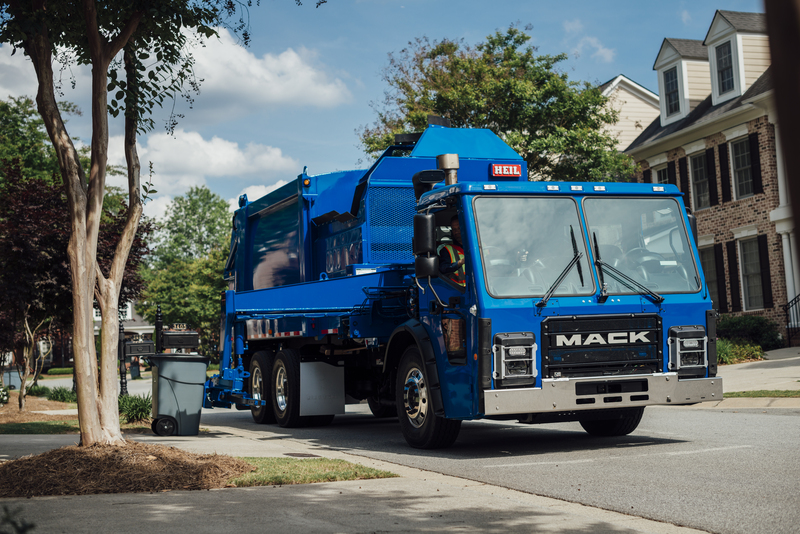 Mack Trucks has introduced new features on the Mack LR refuse model to help enhance safety, improve driver productivity and expand spec options for customers. Mack made the announcement during WasteExpo 2018, held April 24-26 in Las Vegas. The new sliding glass window greatly improves cab ventilation and access to the mirror during right-hand stand-up or sit-down operation. The window will be standard and available for order in Q2 2018. The C2 PLUS seat cushion, available with Sears air suspension seats, provides even more comfort on the job. Mack’s new multi-position seat developed exclusively for the Mack LR by Sears Seating offers multiple positions for right-hand operation, allowing greater adjustability and comfort, whether seated or standing. The seat back and seat base are adjustable, allowing drivers to more comfortably operate the truck and joystick controls. The C2 PLUS seat cushion and multi-position seat will be standard and available for order in Q2 2018. Designed specifically to meet the challenges of refuse customers who require enhanced maneuverability, increased productivity and improved visibility, the Mack LR model is offered in a 6x4 and 4x2 configuration. The LR is an excellent choice for customers in tight urban or open suburban applications. Several configurations are available, including left-hand drive, right-hand drive, dual-drive and left-hand drive with right-hand stand-up/sit-down drive. Mack’s 11-liter MP7 diesel engine is standard in the LR model, delivering up to 355 horsepower and 1,260 foot-pound of torque. The LR is equipped with an Allison RDS five-speed or six-speed automatic transmission. FleetMind Solutions, Inc., the award-winning technology leader for “smart truck” solutions, is highlighting its latest safety and monitoring camera systems at booth #3407 at WasteExpo 2018, held April 24-26 in Las Vegas. FleetLink Mobile DVR is designed for tough refuse collection environments. It comes standard with WasteApp—a software specifically designed for residential or commercial waste management activities. It is used in conjunction with the back office and dispatch systems to record live digital video and all essential waste fleet management activities. FleetLink Rear-view Safety System offers three options for rear view safety systems that can be customized to specific customer requirements. The MobileMule 5520 supports up to four cameras that all record simultaneously. The RVS Six-Channel DVR features a 9-inch display that can connect, view and record up to six cameras. The RVS-082507-NM backup camera system comes complete with a 7-inch LED Digital Panel color monitor and a 130-degree, one-third-inch SHARP CCD backup camera with 50-foot, infra-red night vision. FleetMind Solutions, Inc., has purchased Patent No. 7,511,611 from longtime partner Casella Waste Systems, Inc. The patent essentially covers the tracking of a waste container with the use of Radio Frequency Identification (RFID), barcodes and other electronic means. FleetMind will be showcasing its FleetLink line of products that include RFID and visual tracking of individual waste containers at booth #3407 at WasteExpo 2018, held April 24-26 in Las Vegas. The patent covers the use of an identification mechanism, such as an RFID tag or barcode, associated with a waste container. The identification mechanism contains an identifier that can be used to identify the waste container and be read by a vehicle with an identification reader. In addition, the location of the waste container can be determined using a GPS receiver. The waste container identifier and its corresponding location can then be stored in a computer for later transmission to a second computer, for example, by using a wireless communication link. The second can be used to associate the waste container identifier and the waste container’s position with a customer. Fortistar, LLC, a sustainability-focused private company helping to facilitate the transition to a zero-carbon economy, is entering construction shortly on a portfolio of new landfill renewable natural gas (RNG) projects for transportation fuel projects. Company executives will be attending the 2018 WasteExpo, held April 23-26 in Las Vegas, to discuss potential new projects with landfill owners, operators and project developers. RNG, or biomethane, is American made from sustainable sources such as landfill gas and digester methane emissions. RNG is carbon neutral and chemically identical to geothermal natural gas, allowing it to be to be used as a transportation fuel in natural gas vehicles and trucks. Landfills are the major source of RNG. The growth in natural gas fueling infrastructure spurred on by companies such as TruStar Energy, an affiliate of Fortistar, has dramatically improved the prospects for the development of a commercially viable RNG industry with distribution into the existing transportation fueling system. Celebrating 25 years as a private company, and 20 years beyond that as an investment affiliate of a major international company, Fortistar has built, invested in and managed portfolios of successful, independent power and sustainable/clean energy generation projects in the United States and in Canada. Fortistar’s ability to forge strong relationships with investors, customers and local communities has been a hallmark of its demonstrated success. 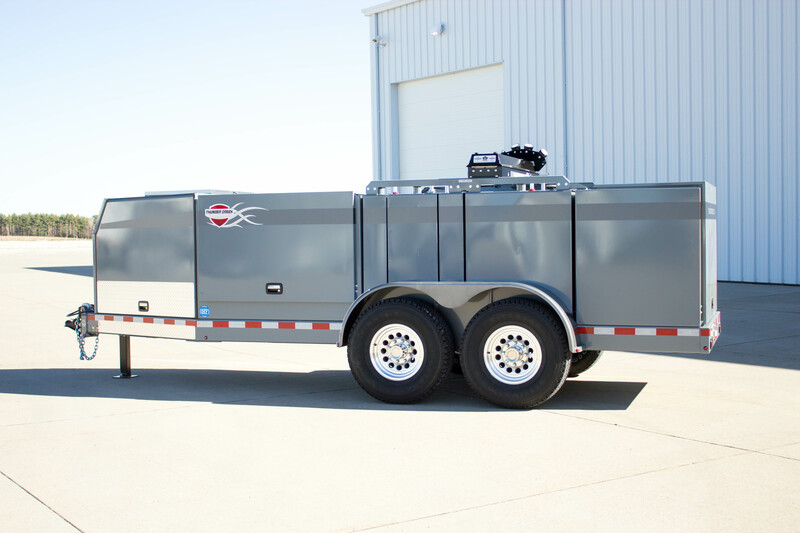 Thunder Creek Equipment has redesigned its Service and Lube Trailer (SLT) to include a new chassis and front-end design, expanded storage in the front and rear utility boxes and a modular design that allows owners to add new features and components at any time after purchase. The new SLT features a modular tank design that is capable of holding 440 gallons of fluid in up to eight tanks with combinations of 25, 55 and 110 gallons. This can include tanks for diesel fuel, oil delivery (engine or hydraulic), used oil reclamation, grease delivery, antifreeze, DEF and other fluids based on field maintenance needs. The redesigned front-end allows for an additional 100-gallon DEF storage tank and Thunder Creek’s proprietary 2-in-1 closed DEF distribution system. This can either be included at the time of purchase or field installed at a later date. The new front enclosure is 23 percent larger than the previous model, and the rear utility box is 56 percent larger. These newly enlarged spaces give owners the opportunity to add toolboxes, workbenches, grease delivery systems and added oil/fluid capacity. In addition to fluid delivery, the SLT is outfitted with either a combination generator/air compressor or an optional 3-in-1 welder/generator/air compressor. This helps power the pneumatic pumps for fluid delivery and other jobsite tools needed for field maintenance. An optional WorkSight Light Tower with powerful LED lights is also available for performing service work at night. The SLT retains many of the design and performance features of the previous model, including 10-gauge steel tanks, interior LED lighting and the pneumatic pumping system with reels up to 75-feet long. The trailer can be purchased without the rear utility box and combination generator/air compressor for those who prefer to run the air off of their truck. The redesigned front-end and chassis also helps make the trailer more maneuverable, and it features better access to working areas via hatch-style doors and ergonomically positioned components. The fenders are removable, and holes are pre-drilled into the frame to move the axle position and ensure proper weight distribution for owners who add features after the initial purchase. The new SLT is manufactured in Pella, Iowa, and features Thunder Creek’s three-year tank warranty. Freightliner Trucks introduced the new Freightliner EconicSD waste collection truck at WasteExpo. The Freightliner EconicSD is a modern, low-entry cab-over-engine (COE) waste collection truck for the North American market that provides superior safety, uptime and productivity. Freightliner Trucks is featuring the Freightliner EconicSD in booth #2617 at WasteExpo. The cab and chassis are designed and manufactured in Woerth, Germany—Daimler’s largest truck plant. More than 125 modifications were made to optimize the truck for North American operations. Final assembly of the cab and chassis will be completed in Gaffney, S.C., at the Freightliner Custom Chassis Corporation (FCCC) manufacturing facility. “The cab-over-engine design for the North American waste collection market is a unique concept, so collaborating with Heil and McNeilus was critical to ensure a streamlined upfit process and efficiencies from the very beginning,” said Richard Howard, senior vice president of sales and marketing for Daimler Trucks North America, in a statement. Equipped with the new Detroit DD8 mid-range engine, the Freightliner EconicSD is built for productivity. With a rating of 350HP and 1050 foot-pound torque, the DD8 has best-in-class maintenance intervals that are up to three times longer than the competition. Ideal for the waste collection market, the DD8’s variable exhaust cam phasing optimizes exhaust temperatures during low-load operations for more efficient after treatment performance. The DD8 also features Detroit Connect Virtual Technician remote diagnostic service for maximized uptime and productivity. “Waste collection vehicles need to navigate tight turns, busy urban streets and suburban neighborhoods, so safety is a critical concern at all times,” said Allen in a statement. The Freightliner EconicSD is engineered to enhance the safety of not only the driver and crew but also pedestrians and drivers of other vehicles. The truck’s panoramic windshield and low seating position provide outstanding visibility, while the mirror system offers an expanded field of vision for work areas and potential blind spots. The short wheelbase and aggressive wheel cut deliver superior maneuverability. Further contributing to the Freightliner EconicSD’s safety is the Detroit Assurance suite of safety systems. The Freightliner EconicSD comes standard with active brake assist, adaptive cruise control and lane departure warning to mitigate potential collisions. Optional safety features include side guard assist and a built-in camera system with 360-degree views displayed on a flat screen dash monitor. “Waste collection vehicle drivers and passengers are in and out of their trucks all day. The Freightliner EconicSD’s ergonomic design reduces fatigue and provides a more comfortable and productive work environment,” said Allen in a statement. The spacious cab has an air-suspended driver’s seat, with additional single seating to accommodate up to three passengers in the high cab model. The Freightliner EconicSD comes standard with digitized instrument cluster that displays key information on an LCD screen on the dash and is operated by intuitive steering wheel controls. The Freightliner EconicSD will be available to start ordering in summer 2018. Cab configurations for the EconicSD in 6x4, high cab and low cab, and rear and side loader configurations will be available. During WasteExpo 2018, representatives from TOMRA Sorting Recycling will its latest innovation designed to raise recycled product grade quality. Attendees visiting TOMRA booth #3601 will learn more about the new AUTOSORT LOD (Laser Object Detection), which uses laser technology to achieve unprecedented purity levels and helps recycling operations meet newly implemented China purity standards. The new AUTOSORT LOD sorts based on the feed material’s spectral and spatial characteristics and detects impurities that near infrared technology (NIR) is incapable of identifying. AUTOSORT LOD cost efficiently sorts glass as well as plastic material and black plastic from paper, significantly boosting product quality. Foreground detection technology ensures the laser beam only identifies material above the belt, reducing background noise and giving operations the flexibility to use any type of belt feeder for the circuit. In addition to the new AUTOSORT LOD, TOMRA will highlight other technologies for waste, paper and plastics recycling, including X-TRACT. This cutting-edge X-ray sensor sorting system features TOMRA’s exclusive DUOLINE technology to give X-TRACT superior recognition of secondary resources, regardless of input material density. This high-speed X-ray processing technology delivers exceptional levels of resolution even with the most varied mix and smallest grain size. Trelleborg Wheel Systems will display a full range of market-specific waste industry tire solutions at booth #137 at WasteExpo 2018. The Brawler HPS Soft Ride solid tires offer operator comfort that is radically improved by more than 35 percent when compared to the standard solid tires used in waste applications. This figure was determined at an independent testing center in Treviglio, Italy, and confirmed through more than two years of field testing conducted at waste and recycling facilities around the world. The Brawler tires offer the life performance of a solid tire, with the ride comfort of a foam-filled pneumatic tire, providing customers with an ideal cost of ownership solution for the waste segment. In addition to the Brawler HPS Soft Ride, Trelleborg supplies numerous products to the waste industry, including skid steer tires, rubber cutting edges and rubber tracks. The groundbreaking REB4 two-ram baler is the only two-ram that features Sierra’s patent-pending, dual-compression doors. The REB4 uses 55 tons of force per door to push the material below the cutting knife and into the charging chamber, increasing charging efficiency, eliminating roll-back and pre-densifying the material before the cycle even begins. This leads to a 20 to 40 percent increase in production. The REB4 two-ram baler allows for greater input density in the charging chamber, which is dramatically different than traditional two-ram balers. 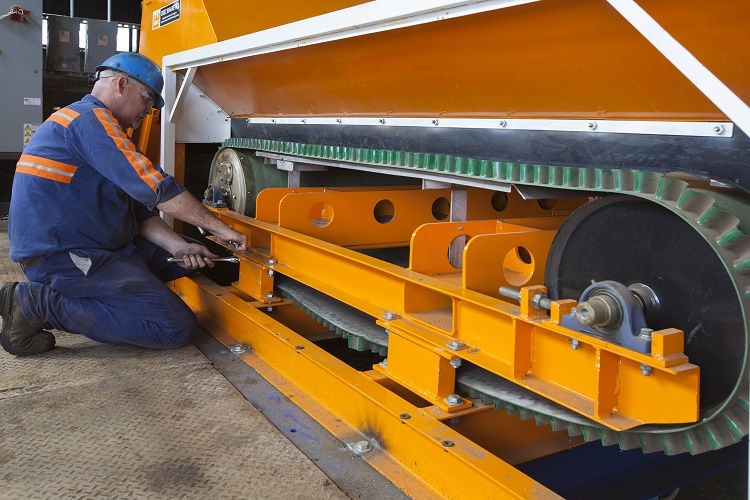 When the doors are fully closed there is only a 6-inch gap that requires shearing, reducing the area to be cut by 90 percent, allowing for an overall reduction of shear and hydraulic shock and reducing stress on the blades and structure of the machine. This reduction in shearing also reduces energy cost, making the REB4 the most power and efficient two-ram in the world. The dual-compression doors eliminate pinch points and allow for greater downward compression force on material without the worry of lid jamming. The unique design of the doors keeps the baler balanced without putting undue stress on the baler frame. The REB4 two-ram baler is a gamechanger for two-ram machines. It was developed through years of experience in Sierra’s own recycling facility and was fully designed to eliminate the common frustrations prevalent within the recycling industry and increase production and efficiency. Kraus Global Ltd., a global leader of alternative fuel dispensing solutions and innovator of many recognized technological advances in the marketplace today, continues to shape the industry with the introduction of Metered CNG Fill Post Systems. Filling an equipment gap in the industry, this advanced intelligent post control system provides accurate metering from each vehicle hose. Embedded data acquisition architecture reports relevant historical and real-time data, providing station owners and fleet managers with a customizable summary of the health of the station and fleet. Metering of fleet vehicle fills has always been a challenge, primarily due to cost and complexity. This challenge has been overcome through streamlining the necessary infrastructure and metering process using Kraus Global’s advanced MICON NEXTGEN 1.0 controller to extract and synthesize relevant data. System capabilities include enhanced fleet tracking, priority filling control, top-up routine, connection to fuel management systems and more. Existing time fill stations can be upgraded into the Kraus Metered CNG Fill Post System by retrofitting existing posts with a Kraus Fill Post Retrofit Kit and integrating the Kraus Control Panels to the site. This upgrade reuses existing compression, storage and filling infrastructure, making the total upgrade cost effective and easy to install. AbouZeid stated Kraus Global is partnering with Ozinga Energy at the initial beta site. The Metered CNG Fill Post Solution will be on display at Ozinga Energy’s booth (#1617) at WasteExpo in Las Vegas. Sample data and equipment will be available for viewing, along with Kraus Global product specialists to share additional information and answer questions. The latest generation of the Eriez RevX-E product line combines the same high-performance separation of previous models with a variety of maintenance-friendly enhancements, including an innovative cantilever frame design that enables 10-minute belt changes. 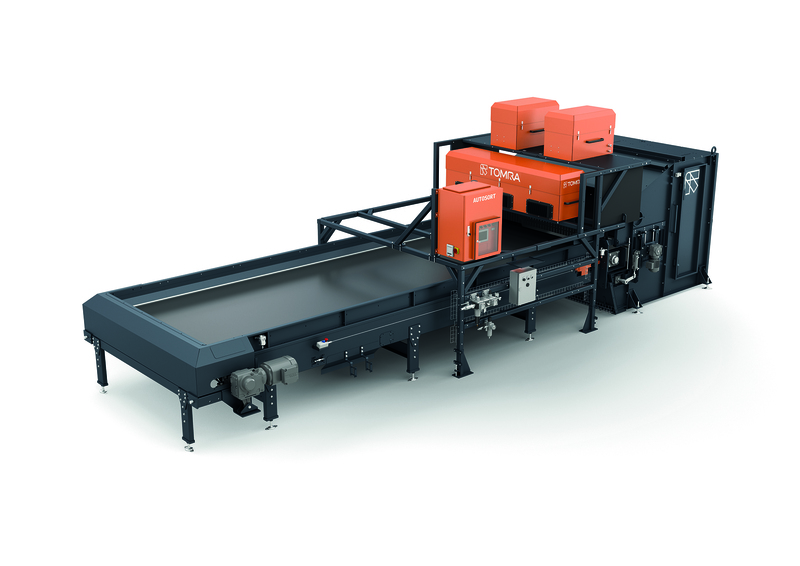 The company will present the RevX-E Eddy Current Separator (ECS) with Quick Change belt system at WasteExpo 2018 in Las Vegas. Units are available in 1, 1.2 and 1.5 meter widths and can be configured with a heavy-duty vibratory feeder, feeder support framework, separation shroud/splitter and controls for turnkey installation. Eriez also offers two rotor configurations, enabling users to choose the right model for their specific application requirements. The ST22 rotor is designed for sorting material less than 1-inch, and the LT2 rotor design is applicable for sorting material 1-inch and larger. Fairbanks Scales, Inc., the oldest scale company in the U.S., and the world’s leader in weighing equipment, will be showcasing a wealth of state-of-the-art industrial scales at WasteExpo 2018. Visit booth #1028 in the Las Vegas Convention Center to view Fairbanks Scales’ latest groundbreaking innovations in weighing equipment, including the Talon HVX heavy-duty truck scale, equipped with the innovative Intalogix Lightning/Power Surge Protection system. The HVX Cut-a-way Field Pour will be on display at the Fairbanks booth, along with the Fairbanks Access Solutions (FBAS) Entry Station and the 1605RF remote display. Talon HVX (Highway Vehicle Extreme) scales are built to federal bridge standards, with incredibly strong modules boasting the lowest deflection in the industry. Load cells are provided with armored stainless steel cabling for durability and hermetically sealed for moisture protection and 25-year warranty. Talon scales are equipped with the proprietary Intalogix lightning protection system. Designed and developed exclusively by Fairbanks, this state-of-the-art technology has a true digital signal, up to one million times stronger than a conventional analog signal, which protects the scale from any harmful surges or electrical spikes. The Fairbanks Access Solutions (FBAS) Entry Station greets vehicles with a visible and audio prompt, quickly capturing essential transaction information and sending it to the MatreX Processing System, which relays real-time information to the driver. Also featured is the rugged and durable 1605RF Remote Display, which has a NEMA 3 rated enclosure for outdoor use, and a wireless data interface that eliminates the need for cabling between the scale instrument and the remote display. The FB2550 instrument to be highlighted includes even more features, functionality and connectivity for today’s truck weighing applications. Standard features include onscreen IP camera interface, full color touch screen display, Ethernet connectivity and transaction reports via email.